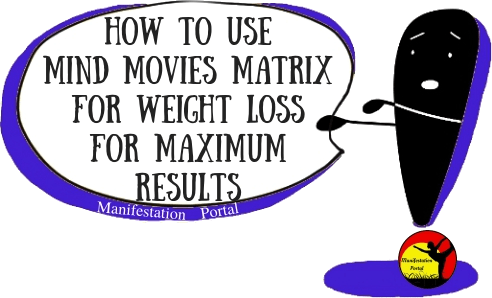 Will Mind Movies Matrix work for weight loss? This is the question I’m trying to answer. 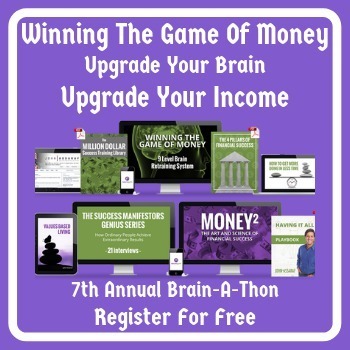 I already did a detailed review of their wealth & abundance program. Now I’d like to see if The Matrix will work just as well for Weight Loss. I hope you’ll follow along with me on my journey over the next few months. I’m hoping their program accelerates the rate of my weight loss because I have 42 pounds to lose. I don’t want to spend an entire year or more trying to lose it. I’d rather just get it over & done with a.s.a.p. Even though I’m using Mind Movies Matrix, I’m still going to write down everything I’ll do along with the program. It doesn’t matter what you’re trying to accomplish in life; you’ll increase your success rate if you write down what your goal is & all the steps you’re going to take to accomplish it. Don’t worry, it’s easy & I’ll even show you how. My advice to you is, keep it simple. No weight loss plan should ever be frustrating. If it is, you need to change it. 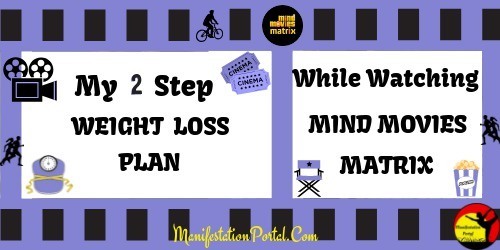 Mind Movies Matrix, for weight loss, doesn’t give you step by step instruction on how to set realistic weight loss goals. 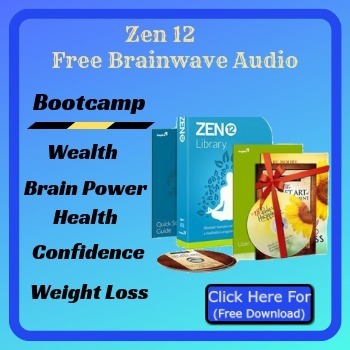 What they do provide you with is Brainwave Entrainment, Subliminal technology and Meditation to accelerate your weight loss. I’ll get into that a bit later. FIRST QUESTION: Get a piece of paper & start writing these things down. 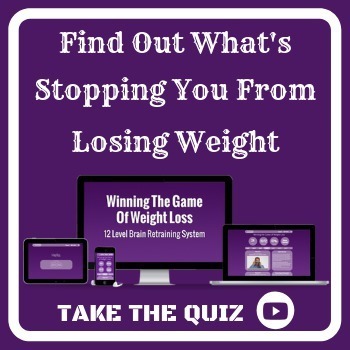 The first question to answer is, what is the total amount of weight you want to lose? Because I’m doing this program myself, I’ll give you my answers as we go along. In total, I want to lose 42 pounds. If Mind Movies Matrix doesn’t work, it’ll take me a little over 8 months to lose the weight. On average I lose about 5 pounds a month. That’s if I count calories & exercise. If you’re not sure how much you should weigh, try https://www.smartbmicalculator.com/. They take into consideration whether your male, female, your height & how old you are. 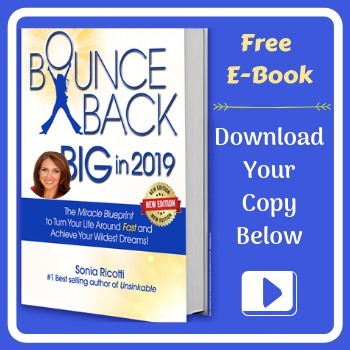 It’s free & you don’t have to leave your e-mail address. SECOND QUESTION: How much do you want to lose each month? This is where reality comes into play. 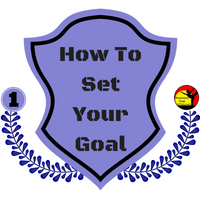 Setting your goal at 15 pounds a month is not realistic. Don’t go the other way either. Setting a goal of 2 pounds a month is just as bad. As you probably already know, diet and exercise will increase the speed of your weight loss. 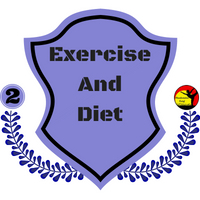 The question is, what’s the best Diet and Exercise? The best diet plan is one that doesn’t feel like torture to follow. Don’t take all the foods you love off your list. I’m still going to have my McDonald’s Bacon Eager. I’ll just make sure I count the calories, so I don’t overeat that day. If you don’t keep the foods you love, it’ll be a lot harder to stick with the diet. Just make healthy choices for most of the food you eat. I’ve tried more diet methods than I can count. The one that works the best for me is just counting calories. If I count calories, my weight comes off a lot faster. There’s an incredible FREE website that is fantastic at helping you count calories. It’s called https://www.myfitnesspal.com/ They do have a paid version but I have the free one & it works just great. What I love about this website is that you can scan the bar code of the food you want to eat & it’ll provide you with the calories & all the nutrition that’s in that food. You can also monitor things like protein, fiber, sugar, etc. You get to choose 5. It’s free, but you do have to register to use it. THIRD QUESTION: What diet program are you going to follow? I can only tell you what works for me. Like I said earlier, counting calories works best for me. You have to pick what you think will work best for you. Some people just cut down on the food they eat every day. That has never worked for me. For me, the best exercises to lose weight fast are the ones that don’t feel like your exercising. Make it something that you enjoy. If you enjoy the exercise, you’ll soon turn it into a habit, and you’ll lose weight faster. Try to get in at least 30 minutes a day 5 days a week. If you love bike riding, go for a 30-minute ride every day or two 15-minute rides. If you like walking, go for a 30-minute walk. If you like doing aerobics, do that. Try switching it up, so you don’t get bored. If you count calories & exercise YOU WILL LOSE weight faster. My Diet Plan: I’m going to use My Fitness Pal to count calories & stay on track. I will also use My Fitness Pal to make sure I’m getting their recommended daily requirements for Protein & Fiber. I’m going to try and incorporate 6 servings of fruits & vegetables daily. The final thing will be to eliminate most of the processed foods I eat. Not all, just most. My Exercise Plan: As for exercises, I’ll go to the gym from Monday to Friday. Monday, Wednesday & Friday I’ll be doing 30 minutes on the treadmill & 20 minutes lifting weights. Tuesday & Thursday I’ll be doing 20 minutes on the treadmill & 10 on the bike. As you can probably already tell, exercising isn’t my favorite thing to do, but I don’t mind walking, biking or lifting weights. I might change or add to this routine as time goes on. FOURTH QUESTION: What exercises are you going to incorporate into your weight loss plan? Make out a schedule. Make it something you’re going to have time for & something you’ll enjoy. 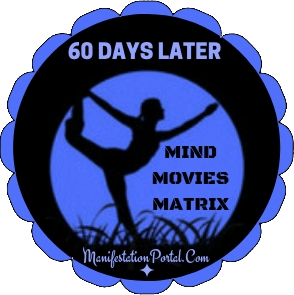 HOW DOES MIND MOVIES MATRIX SEND YOUR WEIGHT LOSS INTO OVERDRIVE? 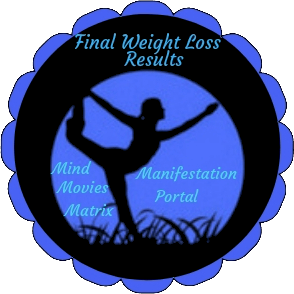 First, let me tell you why I picked Mind Movies Matrix to lose weight? The main reason was, it wasn’t going to cost me anything. I purchased it a few months ago when I was doing a review on it for their Wealth & Abundance program. That program worked quite well, so I thought, why not use it for weight loss. The Matrix contains programs for 4 different areas of your life. The second reason is that losing weight is not easy for me. I figure if it works for me, it’ll probably work for most people. I’m also curious to see if Mind Movies Matrix works well for one program and not another. Mind Movies Matrix, For Weight Loss, is a program that uses Brain Wave technology produced by, Morry Zelcovitch, a Brazilian Brainwave specialist. To help put your weight loss into overdrive, they included the following into their program. ■ 2 Subliminal Mind Movies. The first Matrix Mind Movie (3 minutes long) has highly specialized brainwave entrainment embedded into it. This one you need headsets for. The other Matrix Mind Movie (3 minutes long) has deeply embedded subliminal messages that are encoded at a very high frequency and sent directly to your subconscious. This one you don’t need headsets for. ■ A Sleep Meditation Audio. (can choose either the guided meditation or non-guided) It’s also Brainwave Entrainment enhanced. Listen to it as you fall asleep. ■ Subliminal Success Accelerator to play in the background of your computer when you’re using it. This is where most people go wrong. They follow the program faithfully for a couple of weeks & then they start missing a day here & there. Pretty soon a day here & there turns into 2 & 3 days here & there. The more days you miss, the more your success rate drops. The instructions for Mind Movies Matrix are below. 1. You’ll receive a Mind Movie that you listen & watch, with headsets on, for 3 minutes a day. This one has BrainWave entrainment embedded into it. They suggest listening to it in the morning, but you can listen to it later on. 2. A 60 Minute Subliminal Audio with embedded subliminal messages. You don’t hear the affirmations. You listen to this, without headsets, for 60 Minutes. This is a lot easier to do than you think. You can turn the volume down low & have it playing while you’re watching T.V. Your Subconscious Mind will still hear it even if you’re not paying attention. I usually have mine playing while I’m getting ready to go to the gym in the morning. You don’t have to listen to the 60-minute audio every day. I listen to mine at least 5 times a week. 3. The Second Mind Movie you watch & listen to without headsets. This Mind Movie has deeply embedded subliminal messages that are encoded at a very high frequency and sent directly to your subconscious. 4. Then there’s a night time meditation subliminal audio. This one you listen to as you go to sleep. IMPORTANT: Like with any other program, the more you put into it, the quicker you’ll see results. If you include the above 3 things, along with diet & exercise, you WILL LOSE weight at a MUCH faster rate. The question I want to be answered is, how much faster will I lose weight using Mind Movies Matrix? As soon as I hit my goal, I’ll be able to tell you. HOW MUCH DOES MIND MOVIES MATRIX COST? $$$$$: There are different payment plans for mind movies matrix. You can make a 1-time payment for $297. You can also split the payment up by making 2 payments of $179. By paying for it in full, you’ll save $61.00. INCLUDES: In case you missed it earlier, I’ll repeat what you get with the program. Money, Weight Loss, Relationships, and the Perfect Partner. For each of the 4 topics, you get 2 movies. One of the movies is laced with brainwave entrainment. The other one has subliminal messaging. ■ 4 Subliminal Audios. There’s one subliminal audio for each area of your life. ■ Also included are 4 audios to listen to as you go to sleep. Once again, it’s 1 audio for each area. ■ BONUSES: Natalie & Glen also include other bonuses. Because these bonuses change from time to time, I won’t mention them now. ADVICE: I strongly advise you to work on only one area of your life at a time. Once you see success in that area, then try another one. You don’t have to, but I find it’s easier to stay on track. 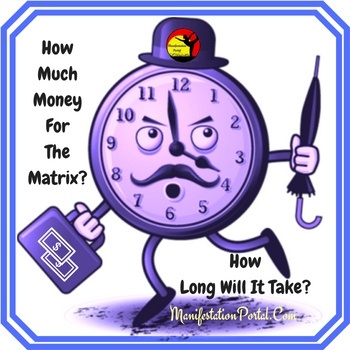 HOW MUCH TIME DO YOU NEED FOR MIND MOVIE MATRIX? The amount of time it’ll take you to lose the weight you want will mainly depend on how well you follow the program. For the people who have health issues making it hard for them to lose weight because of the medication they take, I really don’t know how well this program will work for you. It also depends on how much weight you have to lose. The 1st week was the hardest. I had to figure out when was the best time for me to actually do Mind Movies Matrix. Besides from my Diet & Exercise program that I mentioned earlier on, I turned on the 60-minute audio as soon as I got out of bed in the morning. By the time I was ready to go to the gym, the audio was over. That was one thing out of my way. Next, was the 3-minute Matrix Mind Movie. As soon as I got home from the gym, I put my headset on, listened & watched. So by 8 a.m. I was almost finished with the program. Right after I had dinner (around 6 p.m.) I listened to my last Matrix Mind Movie which was also 3 minutes. Right after that, using My Fitness Pal, I entered in what my meals were going to be for the following day. It’s a great way to make sure you’re not consuming too many calories. The final thing was the Meditation audio. I turned it on & went to sleep while it was playing. WEIGHT LOSS: Up to now, my weight loss average is 5 pounds a month. That’s using My Fitness Pal & exercising. 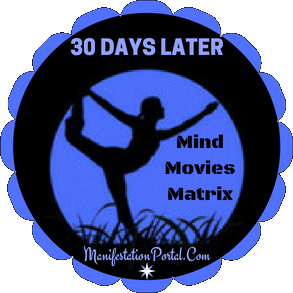 Adding Mind Movies Matrix, I lost 10.3 pounds. Now, DON’T GET TOO EXCITED. I usually lose the most weight the 1st month. Most people do. This doesn’t prove anything so far. What I’m experimenting with is, on average, how much will I lose when my diet comes to an end. I would like to know if Mind Movies Matrix was worth my money, time & effort to increase my weight loss. I’m the type of person that can have a big meal & a half hour later be hungry again. I’m also the type that constantly snacks. Every time I go into the kitchen, I grab something to eat. In fact, I’m snacking when I’m not really hungry. I know, it’s a horrible habit to get into. The thing I liked most so far was the fact that my appetite has decreased by quite a bit. Food isn’t always on my mind. I’m not grabbing a snack every time I go into the kitchen. If you want more information, join the Mind Movies Matrix FREE Masterclass & let Natalie tell you all about it. If you’re interested, I also did a detailed review of Mind Movies Matrix for Wealth & Abundance. Click Here to read it. It’s now been 60 days. When I weighed myself, I had lost another 9.6 pounds. That means altogether in 60 days I have lost a total of 19.9 pounds. So far that beats my usual 5 pounds a month. I’m now at the half way mark of losing 42 lb. This is where my weight loss usually decreases. We’ll see if it decreases using the Matrix. I’m not quite sure if it’s the 60-minute audios or the actual mind movies that are helping a lot. You don’t hear what’s being said on the audios, so it’s hard to tell. I know that I haven’t had a day where I was binge eating. I’m still getting cravings to snack on something, but they don’t seem to last long. I just drink a bunch of water instead. I talked about what I liked so far. Now I’ll tell you what I didn’t like about Mind Movies Matrix. Actually, it was quite annoying. Both of the 3-minute mind movies were great. It’s the 60-minute audio that I had a problem with when I first started. Thank goodness you didn’t have to wear headsets. You hear what sounds like crickets chirping. Maybe it’s just me, but I found it more than annoying. That’s one reason why I listen to it (at low volume) when I’m getting ready for the gym. After the first few days, I didn’t really notice it anymore. Another good time to listen to the audio is when you’re watching t.v. Just turn the volume down. Losing 19.9 pounds in 2 months would have taken me almost 4 months before. I’m not saying I will continue to lose that amount. At that rate, I’ll put up with the crickets. I know when I went through their program for wealth, the sounds were quite relaxing. I’m not sure why they had to put the crickets in this one. Well, it has been 4 months & 2 weeks using mind movies matrix to lose weight. At the beginning I mentioned that, on average, I lose about 5 pounds a week. The following is a breakdown of how much I lost each month. I only had to diet 2 weeks into the 5th month to hit my 42 Pound Weight Loss. Without the Matrix, it would have taken me about 8 months. With The Matrix, it took 4 months & 2 weeks. I was pretty impressed. Was it easy? NO! Counting calories has always been hard for me to do. I found it a real chore to sit down every night to plan out my meals for the next day. I’m not saying you have to count calories. That’s just something I always do. I stuck with Mind Movies Matrix, Counting Calories & Exercising for the entire 4.5 months. So if you stick to the program you should lose weight a lot faster. COMPARISON: The best thing about the program is that you can use it on 4 different areas of your life with no extra cost. Most companies charge for every area of your life you want to see improvement in. For example, John Assaraf’s, Winning The Game Of Money, does not include Winning The Game Of Weight Loss. or Winning The Game Of Fear. You pay for each one separate. To me, Mind Movies Matrix was well worth the expense. For one amount I received their Wealth & Abundance program & their Weight Loss Program. There’s even 2 more programs I can try at no extra cost. Like with any other program, if you don’t stick to it you won’t see results. 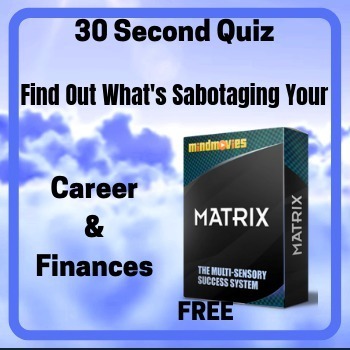 If you’ve already used Mind Movies Matrix to lose weight, please leave a comment below. Let us know how much you were tying to lose, what you did, and what your results were. 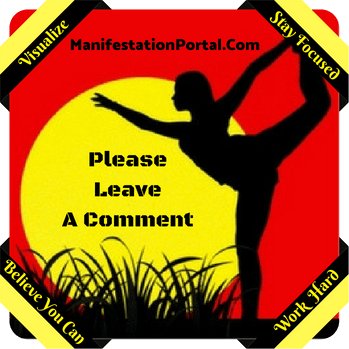 Thanks for visiting me at the Manifestation Portal & reading my review on, Weight Loss With Mind Movies Matrix.